One of the common ways that Indie games are "known" is by their so-called innovation. This is both a blessing and a curse to indie games. It's helpful of course because that description tempts people to try out indie games who might have otherwise missed out. However it is also damaging to the genre, because by most people's standards, there isn't actually much innovation in the world of Indie games. The definition of Innovation is "the act of introducing something new." So based on the definition, you could actually say that innovation is accomplished whenever any game comes out because the game is new. That is a broader way of looking at things, and not the way that most gamers appear to approach the subject. Instead gamers look at the word 'innovation' and see the word different. I think the definition to the word innovation for many gamers would be along the lines of "a game style that is completely unlike what is already available." When considering doing this article I had thought about instead doing a top 10 list of recent innovative indie games. 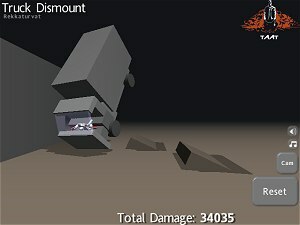 It could include games like Triptych, Gish, Facade, YoHo Puzzle Pirates, Train Tracking, Truck Dismount and Crazy Lunch. Each of these games is quite different in concept then anything in the main stream. In addition to these titles, indie gaming has many games that represent smaller niche genres and are therefore not available through mainstream gaming. Games such as Smugglers 3, Samurai, President Forever, and Universal Boxing Manager I think all fit into this category, being games that most wouldn't really consider innovative like games on the above list, but they are games that are only available through the Indie community, which may make them appear "innovative" (or different) to many people. However, terming indie gaming as innovative solely on the basis of the games I listed above would be a fallacy. This is due to a couple of reasons; firstly due to the relatively small size of the list that I made. Secondly because there are plenty of games in the mainstream that are just as innovative as the titles I listed above (consider Pikmin, Viewtiful Joe, or The Movies to name just a few). Percentage wise, in fact, I believe that there is more innovation in mainstream gaming then there is in indie gaming. I'm sure the point can be argued from both sides with the outcome mostly being determined on the definition of indie games and whether or not puzzle games were included in that definition, but the fact that it could be so easily argued shows that Indies are not the clear-cut winner when it comes to innovation. The real appeal to most developers in creating indie games is that they can make their own game. However, just because the developer is making their own game doesn't mean that the game will be innovative. In fact, aside from Chronic Logic I don�€™t know of any Indie developers who can claim that each of their titles offers a new or innovative gaming experience. That isn�€™t necessarily a bad thing, as mentioned before; there are many niche markets that are met only through the efforts of Indie developers. However, if you consider for a moment the hundreds of puzzle and brick breaking games that are released every year by indie developers, it is clear that 'doing their own game' doesn't mean a developer is doing something different then what is already available. In fact many indie developers see things that are already being done and take it upon themselves to perfect these concepts with some innovative concepts of their own. While adding their own ideas tot he game can make it different, and in many cases much better, it doesn't in an of itself make the game play different enough to make the game innovative. I've argued, in the past, that indie games are probably better understood as games for the casual market instead of being the last frontier of innovation that the IGF and others try to market them as. This is interesting because I don't believe indie games set out to be casual games. It is more of a result of the process than a goal. 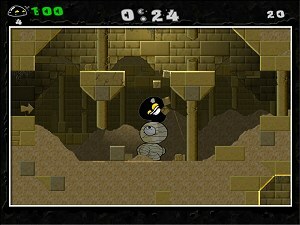 Since most indie development teams are small, often consisting of only a two to five members (and often only 1), indie games are limited in scope as to what they can do. There is only so much content that can be done by a team of this size. The games typically are in smaller in size than what a normal mainstream title would be. This leads Indie games to be often taking the place of what many of us used to play in the arcades. Years ago, arcade games were games that you pumped quarters into, they focused on quick pick-up and play, but weren't as focused on depth of game play. 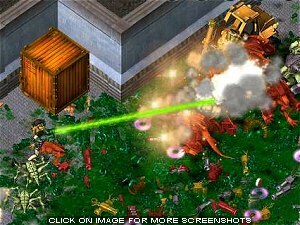 For games that had more depth, like Zelda or Dune II for instance, you had to purchase a console or a computer. Over the years, arcade games became too expensive to create when the quality of graphics and sound in home systems was so similar. In the transition to home systems, the niche of shorter game that were easy to play was mostly lost in favor of games that require many hours to play and even more hours to perfect. This certainly isn't a negative as it provides more entertainment time per your dollar. However, with the resurgence of indie games, that niche of short easy to play games has been a major source of income for indie developers. This has lead to indie developers being known for creating games for the 'casual gamer' and being not well-respected in some circles due to that characterization. However, I believe this to be the result of the process, and not to be the true aim or goal of the indie developers. As indie gaming has grown, more and more mainstream developers who have become jaded and frustrated by not being able to get their ideas out have turned to indie games as a way to let their creative juices flow. Bolstered by Garage Games and the ease of getting a solid game engine at a low price, many games have been started up in the Indie world that are much larger in scope than the typical casual games that have become associated with the word �€œIndie.�€? However, most of them have looked more like variations on a mainstream game then being really innovation on their own merits. I believe this comes from the developers wanting to do things their own way instead of looking to do something completely different than what is already available. As mentioned before, good game concepts and innovative game design is available in mainstream gaming, and you don't really have to look all that far to find it, so while the Indie developers taking this road are providing innovation, the argument certainly remains as to whether or not they are providing any more innovation than what is available in the mainstream. So in the end is Indie innovative? Clearly it is innovative, though that doesn't mean that all the titles are in fact completely different then what you will see elsewhere. Many are improvements, and with more and more disillusioned developers joining the ranks, many are longer, more involved, better-produced, and more main-stream-esque than they were just a couple of years ago. Some provide innovation by making insightful improvements to existing concepts, some by providing games to niches (like Geneforge to the old school RPG niche) that wouldn�€™t be filled without Indie games. In the end Indie gaming is providing games that are not available in stores for the most part. As is the case with mainstream gaming there are games that stand out and games that are fairly average. I think any gamer who can call themselves a gamer will enjoy playing the cream of the crop whether or not the games themselves are completely different than anything that they've played before. As for being clearly innovative, there certainly are innovative titles in the Indie world, just like there are innovative titles in mainstream gaming. Labeling Indie games as being inherently more innovative I believe is inaccurate as putting all Indie games together underneath one label is difficult at best due to the great variety of games that fit under the category of Indie games. However for anyone looking purely for innovation it is available in Indie gaming, though I would caution gamers not to miss-out on other great titles available through the Indie world (like Alien Shooter, Mutant Storm, Orbz and Starscape) by focusing too much on innovation instead of just looking for great games. Game Tunnel is the web's home for independent video games. We offer reviews, downloads, news, and editorials on casual & indie games. All logos and trademarks property of their respective owner. The comments © their posters, all the rest ©2002-2009 GameTunnel.